It’s very hard to get an old-school Macintosh nowadays, but if you want to the old machine, the Macintosh LEGO version may be able to catch your eyes. Chris McVeigh, a graphic designer and LEGO artist designed and created the LEGO creation based on Apple’s original Macintosh. 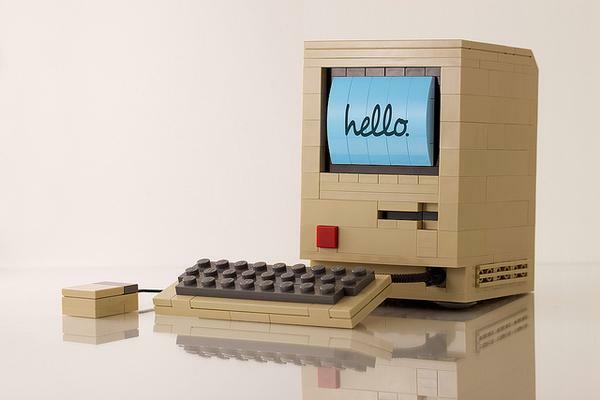 As we can see from the image, the Macintosh built with LEGO bricks features gorgeous details and accurate colors from its original design, you even can the iconic “hello” screen. Most importantly, the LEGO Macintosh is available in a LEGO retro computer building kit that contains 219 pieces of LEGO bricks, building instructions and some extras including medium blue display facade, display tube with internal depth, a “hello” decal and removable logic board. The LEGO Macintosh building kit is priced at $62.5 USD. If you’re interested, jump to Chris’s online store for more details.